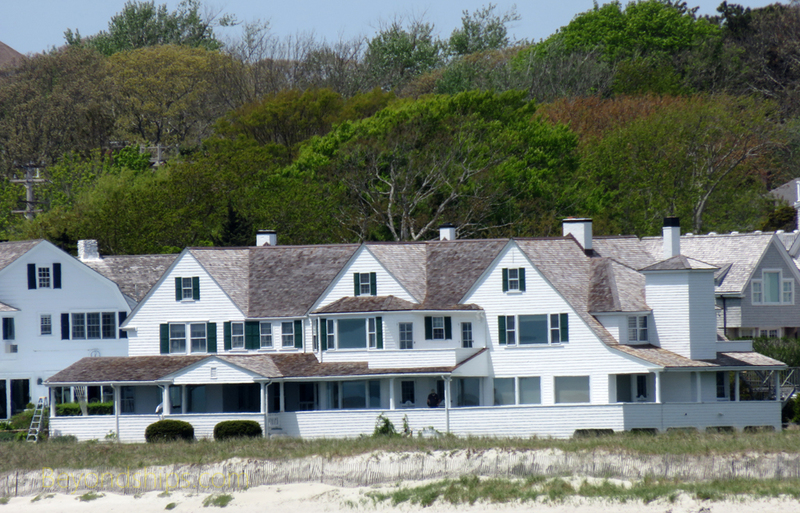 Above: The main house in the Kennedy Compound. 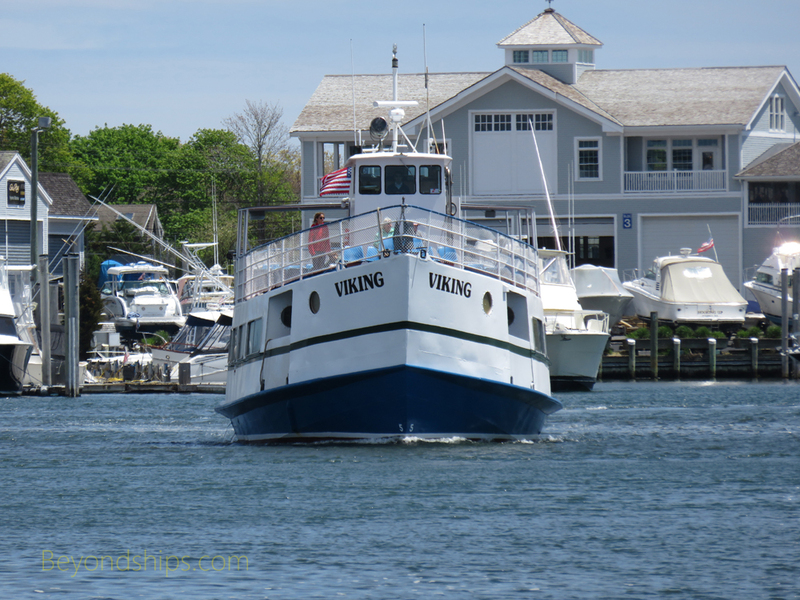 ​ The next stop on the tour was Hyannis on the south shore of the Mid-Cape. It is a night and day contrast to Sandwich. Whereas Sandwich can be describes as quaint, charming and unspoiled. Hyannis, popularly known as the “Capital of the Cape” is sprawling, urban and modern. Large shopping malls border the town and there is considerable automobile traffic even in the off season. It looks much like any other prosperous American urban area. Our objective was the harbor where we were going to board an excursion boat. We arrived a little early and the boat had not yet returned from its previous tour. This gave us some time to look around the harbor area. Near the harbor master's office were a series of colorful “artist shanties” which local artists use as studios and as places to sell their works. A commercial fishing boat was unloading its catch. One of the catamarans that ferry people and supplies to the offshore islands of Nantucket and Maratha’s Vineyard came into the harbor. The excursion boat had two levels. The lower level was enclosed and had facilities as well as a snack bar. The upper level had an awning over one section of seats but otherwise was mostly open. While much more exposed to the cold ocean wind, the upper level had a much better view. As he boat proceed through the harbor, the owner gave a running commentary pointing out the sites such as the John F. Kennedy Memorial and giving local color. Nearing the open sea, we passed sand dune covered beaches and sparsely populated islands. These provided the type of scenes that are so often linked with Cape Cod. The boat paused when we arrived at the neighboring community of Hyannis Port for an offshore view of the Kennedy Compound. In 1928, financier Joseph P. Kennedy purchased a beach front property and had it enlarged as a summer home for his large family. Subsequently, the Kennedys purchased some of the neighboring houses and this group of buildings became known as the Kennedy Compound. It became world famous after Joseph's son John F. Kennedy was elected President of the United States. Above: The excursion boat in Hyannis harbor. 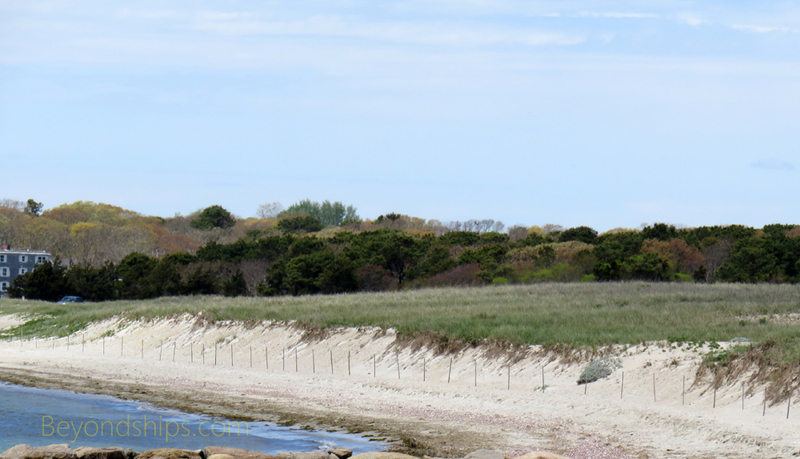 Below: A beach near Hyannis. Our narrator explained that the Compound is not actually a compound. Although the houses that were once owned by President Kennedy and Senator Robert Kennedy neighbor the main house, two other houses owned by the Kennedys are some distance away and are separated from the main house by other people's homes. Because of this, the Summer White House during the Kennedy administration was not in the Kennedy Compound but rather on a less accessible offshore island. The main house was donated by the Kennedy family in 2012 to the Edward M. Kennedy Institute for the United States Senate but it is not open for public visits. However, this offshore view provides a fascinating glimpse of a location so associated with the history of the latter half of the 20th century.